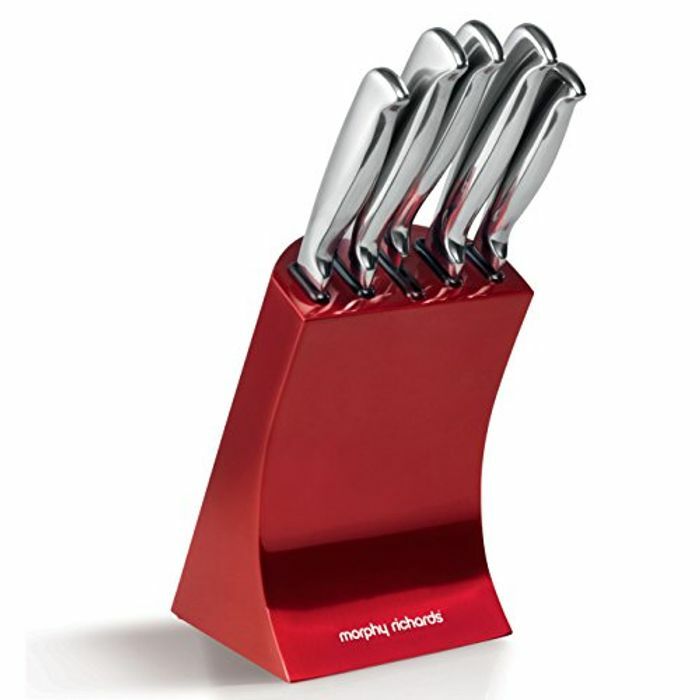 Give your kitchen a touch of contemporary style with this elegant five-piece knife set. Sturdily built from high-grade stainless steel, this set comprises a 20 cm bread knife, a 20 cm chef knife, a 20 cm slicing knife, a 12.5 cm utility knife and a 7.5 cm paring knife, all presented in an elegant colour-matched heavy steel knife block. High-grade, fine-edged stainless steel blades let you make quick work of most everyday kitchen cutting tasks, while ergonomic handles provide comfort and control when using the knives. The elegant polished finish and colour-matched coating also help create a visual feature for your kitchen, making this set striking to look at as well as convenient to use. Thank you so much for sharing the deal. I needed this for my kitchen. All my knives went blunt. This looks good.